With over 500,000 members and close to 1 million experiences instantly viewable in VR, at Sketchfab we’re proud to be the largest online destination for VR content in the world. To celebrate the incredible contributions from our members and your demand for more VR features, we’ve doubled-down on our feature set to make viewing your work and the work of creators from around the world easier, and more-pleasurable than ever before. 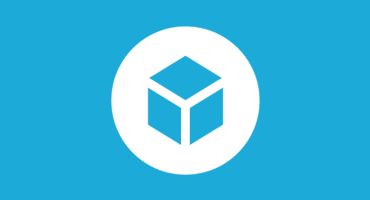 Now, it’s no longer necessary to leave your VR experience to see more great work on Sketchfab. Use the new “View in VR” button to launch a VR interface for Sketchfab on any browsing section of the site: staff picks, popular, a given collection, a tag, a user gallery… Here are 2 collections we prepared, that you can dive in right now: one optimized for mobile, and one better for desktop. Whether you’re using a Google Cardboard or Samsung Gear VR on your mobile device, or the HTC Vive, or Oculus Rift with a WebVR compatible browser, you can now move around any Sketchfab scene or model using our new teleportation feature. Just look in the direction you wish to move to, anywhere on a flat surface, and then tap your Cardboard or GearVR button, or use your VR controller trigger to instantly jump to that location for a whole new perspective. Every model uploaded to Sketchfab is already instantly viewable in VR, but if you’re looking for additional control, we’ve also added a new VR scene editor to our 3D settings that allow you to place the initial viewer location and viewing direction, and quickly set the human scale and floor level of your scene or model. For an overview of our VR features visit our Virtual Reality page or learn more about instantly viewing any model in VR from your browser. But we can’t have animated textures?! lol +1 for VR -0.5 for lack of core animating features. Animated textures are on our wishlist, too. Can you tell us about your workflow? Do you use animated UV offset? Yeah I used some UV offsets along with varying wrap methods/opacities to achieve a type of look I needed for one of my pieces, but had to create a none animated version of my piece due to the sillyness of how it would look otherwise. Yes, The O S Grids use vr offsets, smooth for things like running water,and array stepping like say a 4×4 image array for 16 frame simple video of something like fire in a fire place. simple scripted particle systems would also be awesome but i guess more difficult. Doesn’t seem to work on samsung internet for the gearVR? The browser will not go full screen, or open the sketchfab app. 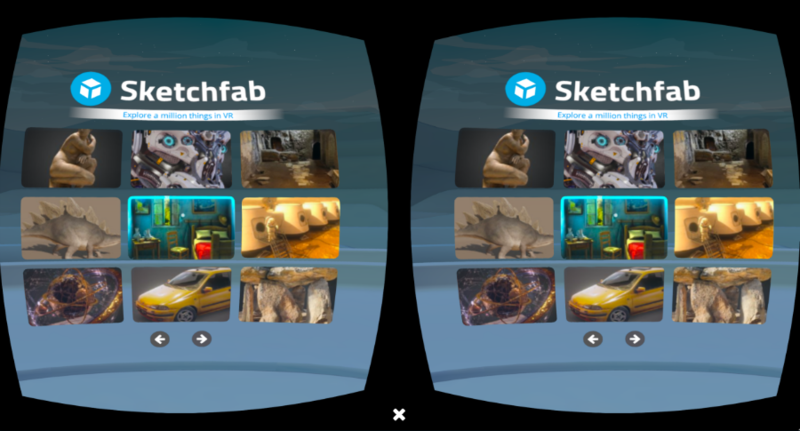 Download the official Sketchfab App in the Oculus store. That is how you do it in Samsung Gear VR. Works great. The view in VR button does not launch full screen. The app does not allow me to search for models, at least that I can see. I’m having a hard time finding models that work well in VR mode (want to test out using google cardboard). Can you link an example of a model that works well VR mode? WebVR doesn’t work for Firefox Nightly. Downloaded/installed/enabled/restarted/, went to Oculus settings and enabled 3rd party. When I click on “View in VR,” the “TO VIEW THIS MODEL IN VIRTUAL REALITY:” still comes up. I cannot get past that pop up. I’m sorry, but it does not work on my iPhone 5 with a VRbox. Unable to act on menus. The menu changes color, but nothing happens when I place the target above. Of course I can not click on the screen when the iPhone is in the helmet.. Could you fix it ? I have this same erroneous behaviour. I see the CR Launcher properly and the thumbnails get highlighted, but they don’t receive any clicks at all. This happens on several platforms: Android ( a couple devices), HTC Vive on PC, Chromium on PC. How can I make this work? Correction: CR Launcher = VR Launcher. Hi Makk, any further information you can provide would be helpful. We use a separate tech on iOS and Android in the sense that this is a simply WebGL render with a stereoscopic view (and of course reading the gyroscope). Only Chromium and Firefox with a Vive or Rift currently use the true WebVR API so I’m surprised you’re seeing the same issue. Hi Jammy, as things currently stand, the tech does require an active click. E.g. there is no timed hover. This is something we can look into however. I believe the VRBox is designed to work with a separate remote clicker, no? I have htc 820q mobile not working due to motherboard problem as per local service station at Vadodara, now what is the cost of new mother board to replace. hello I want to vr glass but from where I find it? Does anyone else have problems with the cardboard trigger on iPhone? I can’t teleport unless I open the googles and touch the screen. Hi Seb, it’s important to make sure you have a snug fit between the phone and the cardboard and depress the button a decent distance for it to make contact with the screen. looks like the htc vive controls are not working past the home screen on the latest versions of the experimental chrome build, earlier chrome builds appear ok.
Having a ton of issues trying to view anything in Oculus VR CV1. Seems like the sketchy (the disclaimer in the ReadMe isn’t very reassuring) Chromium browser is the only one that even remotely works (tried out Firefox Nightly as well), from the links that are provided when trying to view on an unsupported browser. The Oculus remote stops working when going through the VR Launcher (and I can’t seem to get it back without restarting the whole computer). Some way to rotate the view is also greatly needed, as space is limited for me (and I’m sure many others), and it would be nice to view something from multiple angles without getting tangled up in the headset tether. The app in the Oculus store is also greatly needing content, and is all of about 5-10 minutes worth of time. Is there a particular reason you can’t just make all content from the website available through the App; perhaps only with login, if “mature” content is an issue? I think this could be an awesome way to view models and animations, if only we didn’t have to keep taking the headset on/off. I really hope you guys are able to address these issues, as right now this is not an enjoyable experience at all. Just a heads up, it does not work on gear vr. My process is: inside Samsung internet I navigate to the sketchfab website and go to a model, when I press the “VR” button in the bottom right it shows me a floating 2d plane with a very laggy stereo view. If someone has found a way to make it work I would love to know your process. I see that this seems to be updated but still not fixed, now I do get a proper VR view rather than a 2d plane but I am still getting a ton of lag even when I’m facing away from the model, weird thing is when I view it on the same phone in the same browser but not in the gear VR HMD it works no problem. Thanks for the good work. I’m a bit disappointed that it isn’t possible to view and search for VR models in the Launcher app for Vive, though. WebVR with Chromium is glitchy and lacking in features, whereas the app works perfectly but only lets you experience a selected showcase gallery. I’m guessing this is something that’s being worked on, so when can we hope to explore our own works in the Launcher app? Not having to go through a game engine to experience my 3D scans and models in VR is a big bonus for someone like me who isn’t really interested in gaming! 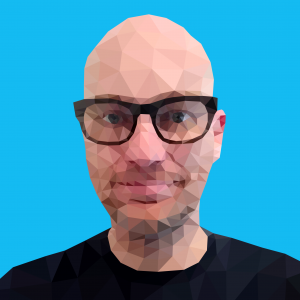 Hi Trond, yes Chromium builds are still in development and we are working carefully to continue to improve Sketchfab’s integration. 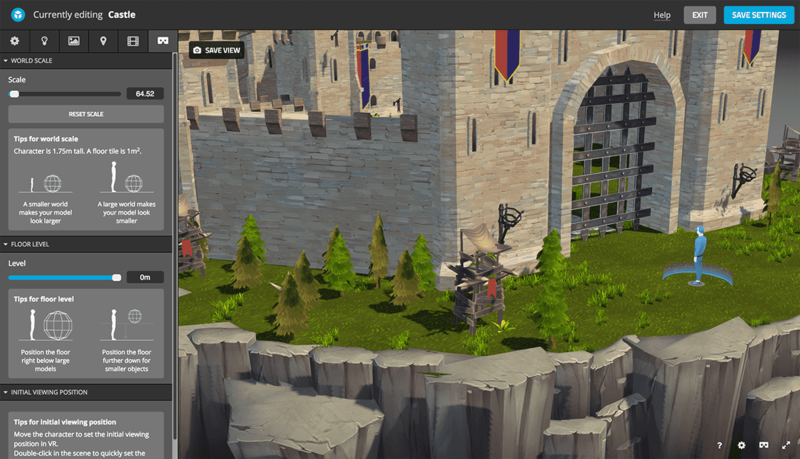 You CAN view your own work in the launcher. Just visit your “models” page in your browser and click the orange “View in VR” button on the lower right. This button will appear on any collection page and any user’s model page (among others.) Note – what may be confusing is it won’t appear on your “summary” page. Hi Paul, thanks for the reply. When I press “view in VR” the model opens in WebVR rather than in the app when using Chromium, and when using MS Edge I just get the typical VR split-image on my screen but nothing in the goggles. Is there any way to change this behaviour? Is it a setting in W10? How can I disable Vive Controller Teleport? For a brief moment I was able to navigate with my keyboard and have not be able to figure it out again. I have tried turning off the controllers and launching the webvr browser before or after launching Steam VR. Hey Jake, unfortunately that is no longer possible since we’ve unified behind a common teleportation system. Hi, is it possible to teleport with left mouse button ? is there a difference between mouseclick and click on the display ? Sadly, we don’t yet currently support additional bluetooth accessories for mobile devices but I am noting your request. The tap teleportation button isn’t working anymore. I still can see the yellow circle, but when tapping, nothing happens. Any ideas ? Sorry to hear you’re having issues. We’ll investigate….